Based in West Bromwich, we provide professional cockroach pest control services across Birmingham, Sandwell, and Walsall. The German Cockroaches are brown cockroaches and the most common cockroaches in as they prefer warm and humid conditions such as commercial kitchens and breed much faster than the other cockroaches. Temperature is a key factor in determining whether cockroaches will infest a particular area. They prefer 24 – 33 degrees C.
Female German Cockroaches deprived of food and water experience difficulty in forming viable egg cases. 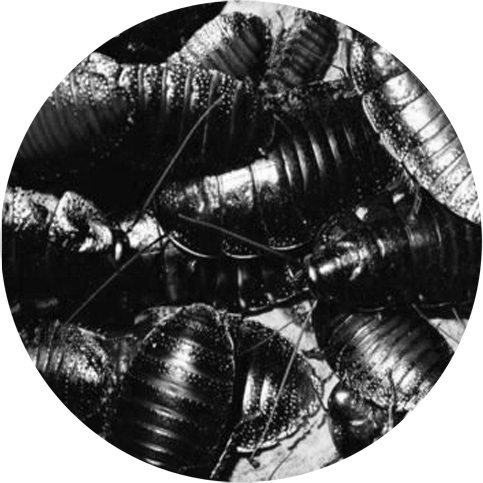 This demonstrates the importance of good cleaning and sanitation in professional cockroach management programmes. Cockroach control for German cockroaches is primarily now carried out by the use of safe insecticidal cockroach gel. The Oriental Cockroach is known as the common cockroach because historically it was the most common cockroach in shops, hospitals and houses. This black cockroach can survive in much cooler and drier conditions such as basements. For this reason oriental cockroaches are probably still the most widespread British cockroach.